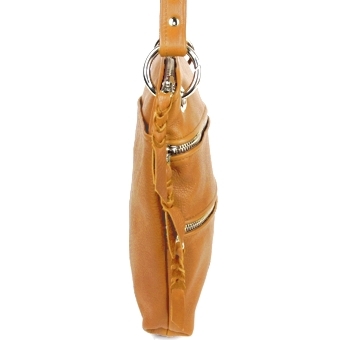 Drop Length: Adjustable 13" to 25" What is drop length? 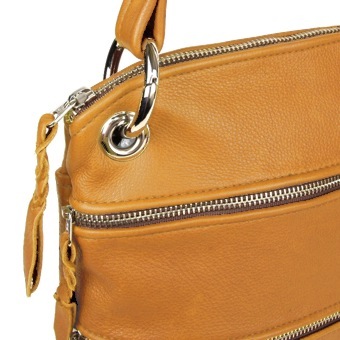 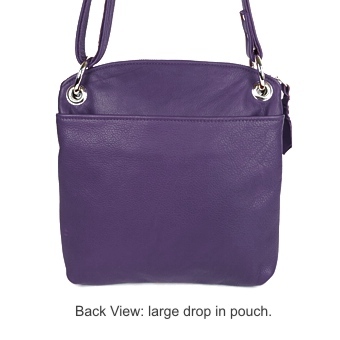 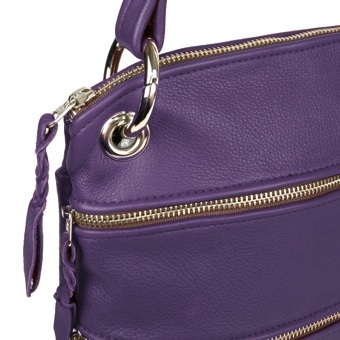 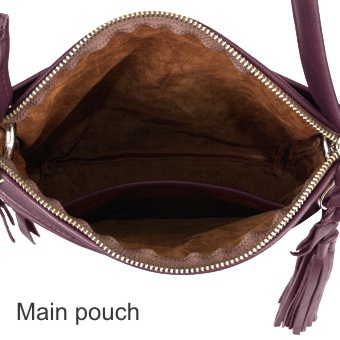 Our Nadia handbag has loads of pockets making it a great organizer. The main compartment has a zipper closure and a large roomy interior with a 6 x 4 1/2 drop in pocket. 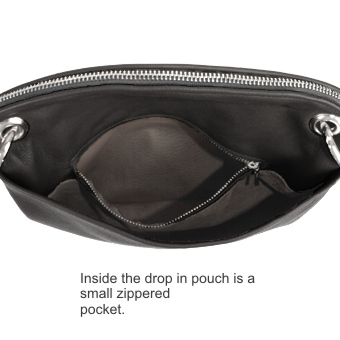 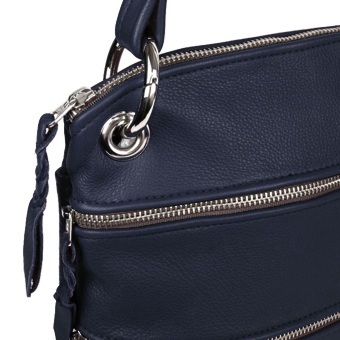 Two front zipper pockets are stylish and convenient and extend to the bottom of the bag. 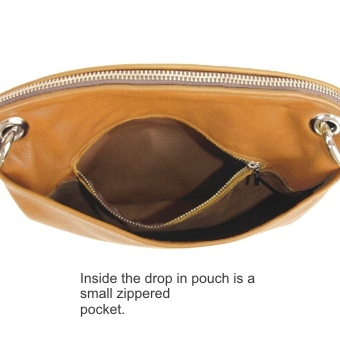 A large slide in pouch is on the reverse side with a small zippered pocket inside. 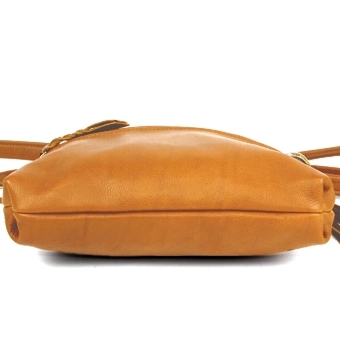 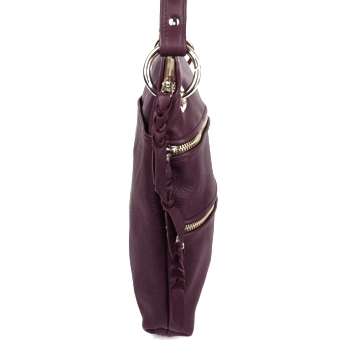 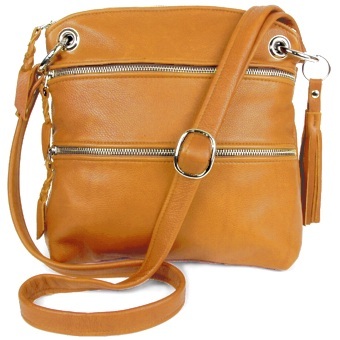 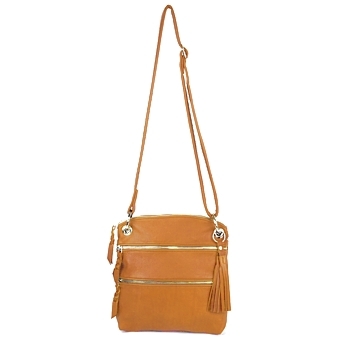 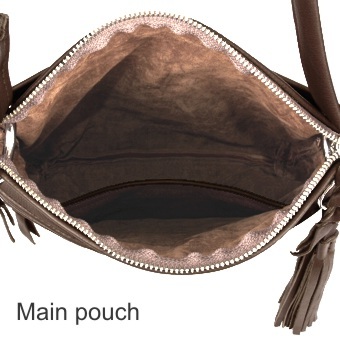 The Nadia's strap is very comfortable and adjusts from 13" to 25" allowing it to be a shoulder bag or a cross body. The decorative tassel can double as a key chain that attaches to the handbag by the strong spring loaded strap rings.